Streaming live broadcasts through the Internet that are not time synchronized can case significant viewer challenges. During my interview with Stefan Gustafsson from Net Insight during the NAB show, he explained that synchronizing live streams for certain type of sports events can be critical for viewer satisfaction. Consider the case when viewers are watching a sports game in a pub with TVs and mobile devices tuned to the same channel without synchronization. Some of the devices may have delays of several seconds compared to other devices. When a goal is scored, some of the devices will play it first causing cheers for some and a spoiler alert for the delayed recipients. 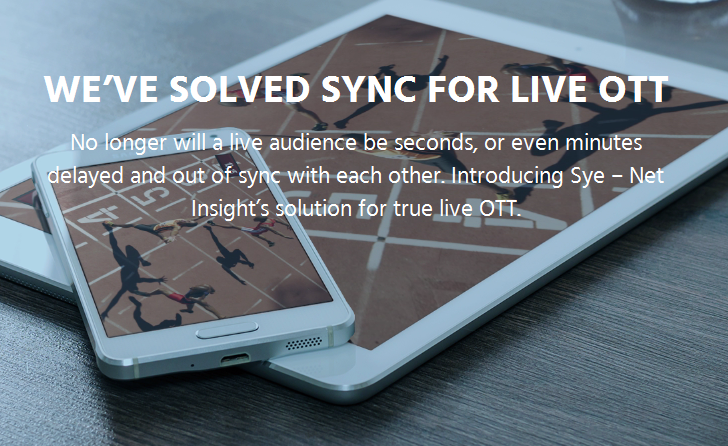 To solve this challenge, Net Insight has created a frame accurate synchronization across multiple devices. The Net Insight streaming system provides a signal which has a predictable, fixed delay and synchronous playback across devices independent of device manufacturer. Net Insight also has created APIs allow other types of hardware that can harmonize devices with big screen TV for an extended experience. For more information about OTT stream synchronization, visit: Net Insight OTT Streaming or go to Net Insight OTT Synchronization White Paper to download the OTT Synchronization solution paper.